Jackie Fo: Wine Tasting Placemats - Giveaway! Wine Tasting Placemats - Giveaway! White in the summer, red in the winter...it's like clockwork baby. So when I discovered these easy, fun wine tasting placemats from Coppertops Paperie, I knew I had to experiment with them. Coppertops is a neat business out of Denver that sells wine tasting accessories like these placemats, wine wraps, wine tags, and much more. The best part about these tasting placemats is you can be as serious or as silly as you want with your tasting. 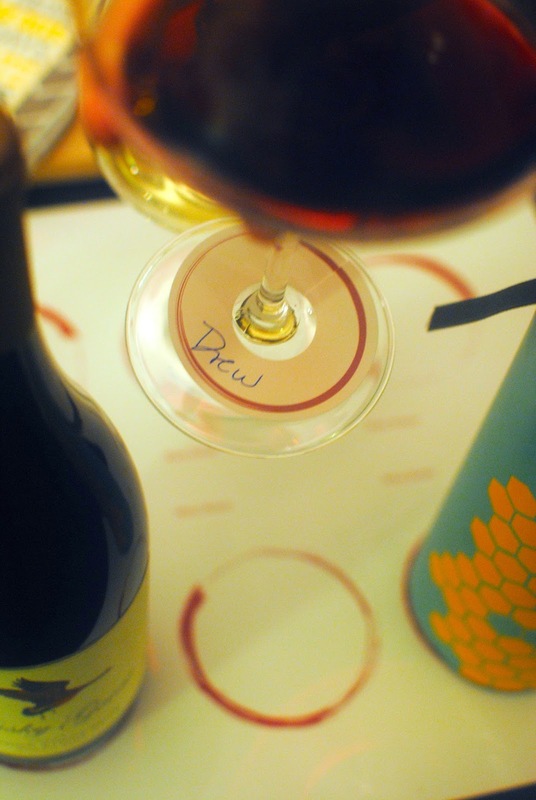 Let's face it, some of us are just happy when any cork is popped, and some of us are more discerning. I'd say I'm somewhere in the middle? My days of boxed wine are over... it's just a faint memory of my college dorm. But I'll take a good $12 bottle any day! No matter what your style is, Coppertops has something for everyone. 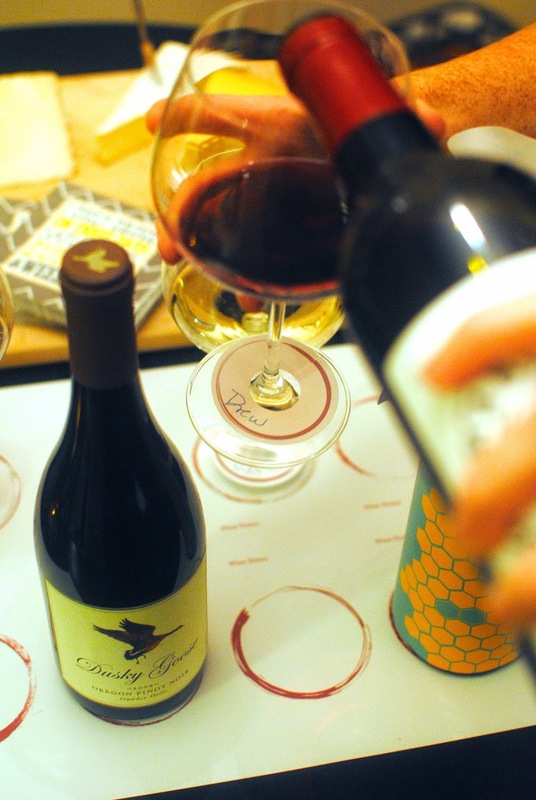 I set up a simple wine and cheese get-together for a few girlfriends and we had a grand old time. Cheese please...cheese is so very necessary. I have to say that the identifier cards for the stems of the glasses are perfect. As a hypochondriac I have a strict no sharing food or drink rule during cold and flu season. Just write your name on these bad boys and ain't nobody going to be drinking out of your glass. If you're bringing wine to a party as a hostess gift, use Coppertops' colorful wine wraps as a cute alternative to the traditional wine bag. Do you want these wine table placemats? How about 16 of them? And wine identifiers and a set of wine wraps? I thought so. You're in luck - I'm giving away all of this and all you have to do is comment on my blog or like Coppertops on FB! You know you want to. The giveaway will run through the following weekend (over October 19th at midnight) so enter through the rafflecopter below to have a chance to win and be a hostess with the absolute mostess! Cheers! 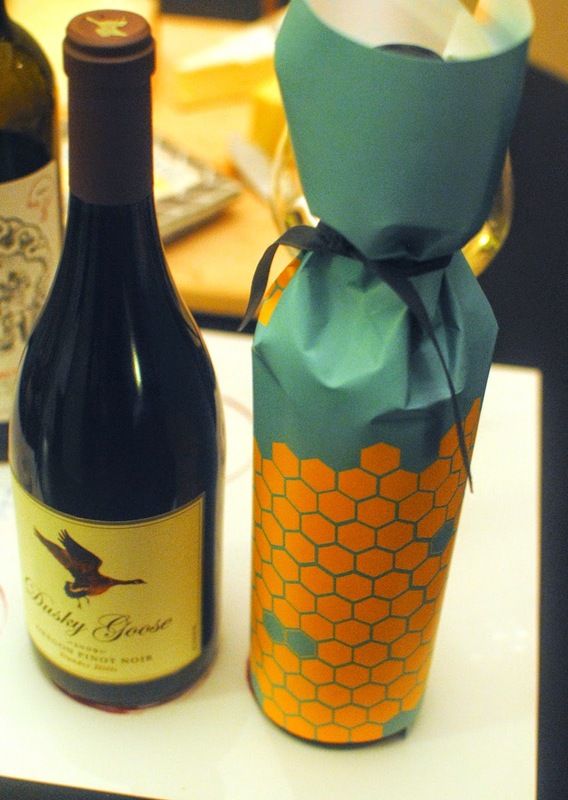 I have never seen wine wraps- what a great idea! Definitely need to get some to have on stock for hostess gifts! I prefer white!!! Fun giveaway! LOVE THIS, especially the honeycomb bottle wrap and placemats. Your blog is THE BEST! Always the best stuff and ideas. These are great! Right up my alley! What would wine be without cheese?! Well, okay, it would still be delicious. The placemat looks fun...and I love the identifier cards. So much less cheesy than wine charms. Such a fun idea, fabulous items!! I prefer white, love me some wine! Super cute giveaway. Subscribe To Jackie Fogartie Events - The Blog! Get Jackie Fo posts emailed to you!